Scroll down to see our various Great Falls menu selections and then click on the links of your choice to see that specific menu. Some menus will link to a .jpg image or a .pdf file. Simply hover over (PC) or touch a menu (mobile device) and click the link when it flips over. In a hurry? 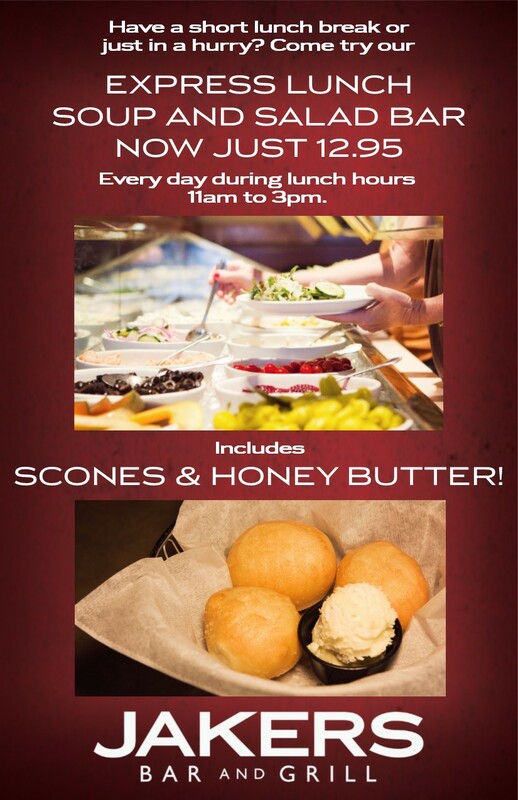 Right now, you can enjoy our Express Lunch special... Soup and Salad bar just $12.95. Every day during lunch hours (11am - 3pm). This is a great place for lunch or dinner. Their honey butter scones are absolutely delicious and they come with every meal. Good food good service. The almond crusted chicken is absolutely delicious as are the drunken noodles. Overall have found this to be an ideal lunch or dinner destination. Our waiter was fabulous! Their salad and soup bar is incredible. Love Jakers. The food is fantastic, their cesar salad is very good as well as their salad bar. 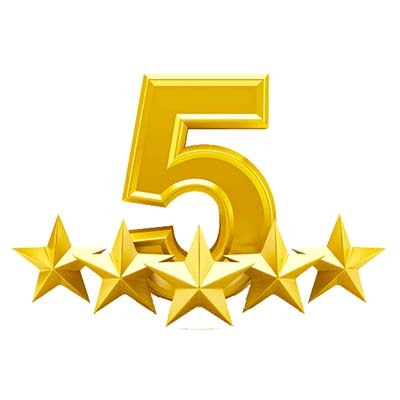 The staff is congenial and the atmosphere terrific and welcoming. Best ribs I have ever had.I was impressed to say the least. I have never given a restaurant 5 stars. I did today.